Philippines: Let us travel up north! Let us travel up north! ILOILO CITY (Philippines News Agency) — If you wish to explore the myriad of natural attractions that remain undiscovered by many, Northern Luzon is your destination – what with its mountain ranges, valleys, white sand beaches, and captivating sights, not to mention the rich culture of its locals. This province is not just the rice and corn granary of the Philippines. Isabela is also a good stop for tourists who would like to seek peace and tranquility in historical Roman Catholic churches. 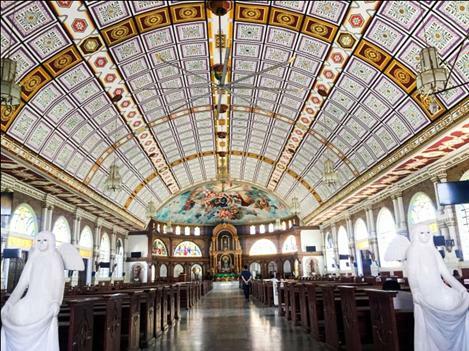 Take the Our Lady of Pillar Parish Church in Cauayan City, for instance. Its tower has been destroyed by violent earthquakes years ago, but the Church has maintained its colonial Baroque look, with its galvanized roofing and bricks standing the test of time. Its interiors would leave you in awe the moment you set foot at the entrance of the century-old place of worship, and the silence inside would make you sink to your knees in prayer. About an hour-and-a-half away by bus is the St. Matthias Church in Tamauini town. Built in 1707, it is one of the country’s five Baroque churches submitted by the National Commission for Culture and the Arts to the United Nations Educational, Scientific and Cultural Organization (UNESCO) and the World Heritage Centre. If you long for some quiet time and fancy spending time with indigenous people, the mountain village of Patiking, Tabuk City in Kalinga province is the place to visit. There to give you a warm welcome are local folks wearing their traditional costume – the bahag – which is made from a uniquely woven fabric that features designs inspired by nature. Walking up to an eco-village, you would pass by spring-fed pools that make you want to take a quick dip. 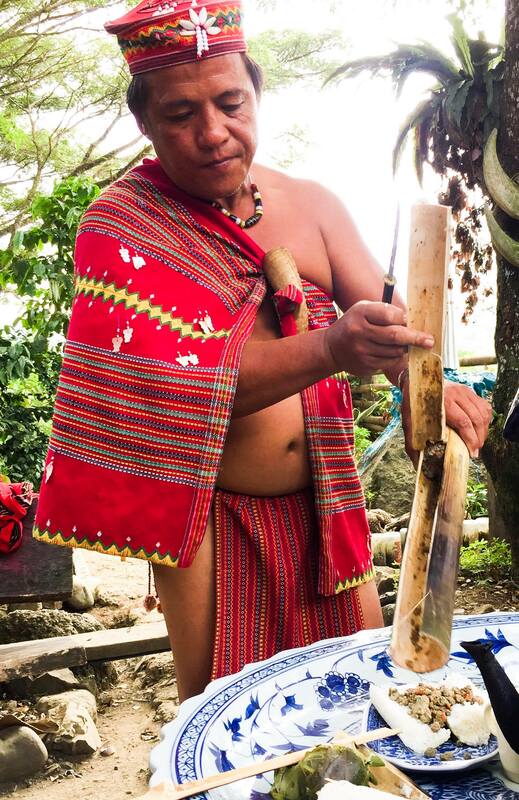 Froilan Albert, owner of the eco-village, is always excited to let visitors experience their exotic cuisine. Albert introduces guests to the ‘Sinursuran’, a spicy dish of pork liver seasoned with unique organic spices, and served with ‘Linundag’ or rice. Both are traditionally cooked in bamboo, with the dish and the rice separately wrapped in banana leaves. And no trip to Kalinga is complete without you tasting the ‘Basi’, a fermented alcoholic drink made from sugarcane. Froilan Albert shows how to open exotic cuisine he cooks using bamboo cuts. 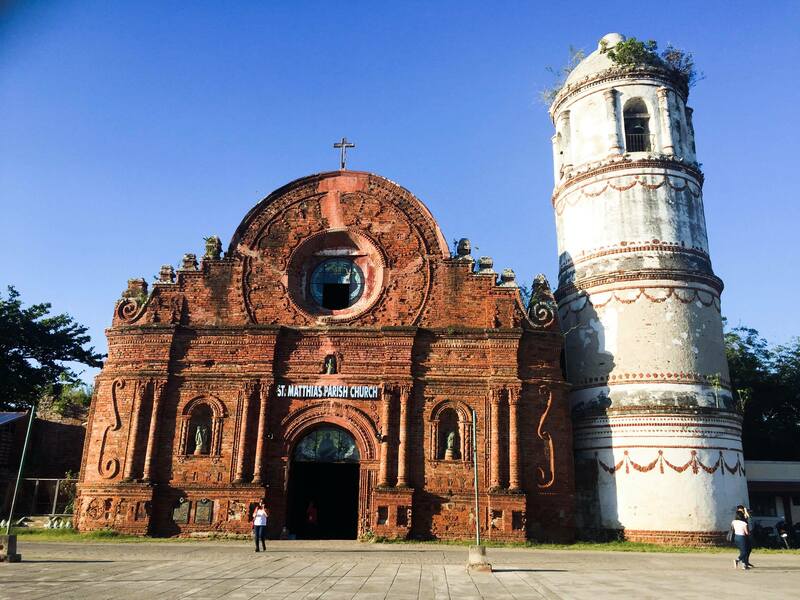 Two hours away from Kalinga is the town of Piat in Cagayan province. Piat is home to another historical church, the Basilica of Our Lady of Piat. Sculpted in Macau, the Lady of Piat is one of the oldest Marian images in the country. The climb to the town’s hilltop to reach the red brick Romanesque church is all worth it because the image of the Lady is believed to be miraculous, healing many devotees since its arrival in 1610. About an hour from Piat is the Buntun Bridge, the gateway to the country’s “hottest” city, Tuguegarao. This bridge is the second longest in the Philippines and beneath runs the peaceful Cagayan River. The name is a real tongue twister but this river deserves to be on your bucket list. The Pinacanauan River in Peñablanca town, about 30 minutes from Tuguegarao, is one of the major tributaries of the Cagayan River. 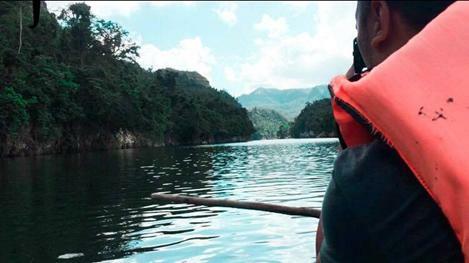 From here, your eyes can feast on the beauty of the majestic Sierra Madre, the longest mountain range in the country, as you cruise in the river’s crystal clear waters. A photographer capturing various angles of the river. Guests can go boating from 5 p.m. to 6 p.m. to see the skies darken, as colonies of bats fly out of the mouth of a cave on top of a mountain. 184 steps — that is the number of step you need to climb to reach this famous limestone cave, just a stone’s throw away from the Pinacanauan River. In 2007, this cave was put under the spotlight after a team of archaeologists from the University of the Philippines and National Museum unearthed a 67,000-year-old fossil. But the sight to behold here is one of the cave’s seven chambers, which has a narrow opening – where rays of light stream down on the altar of the chapel inside, making it a must-see natural attraction. A solemn but magical wedding, anyone? 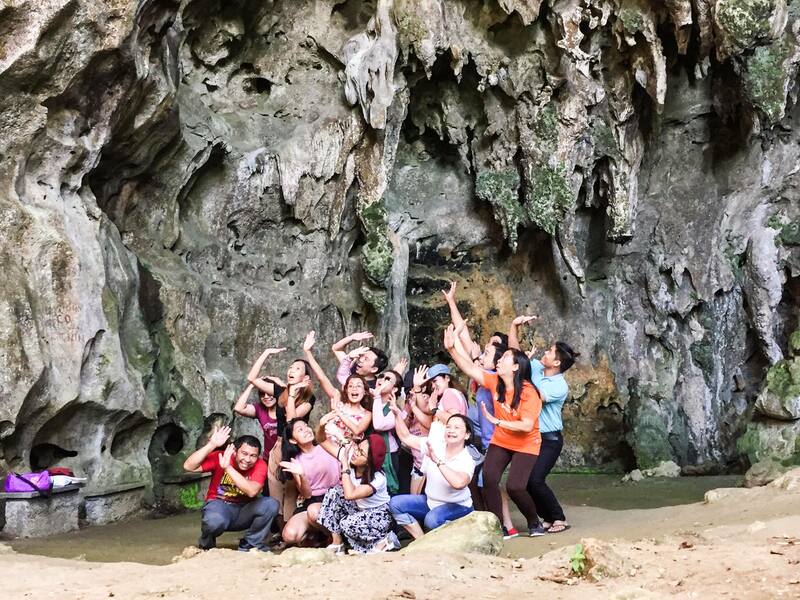 Tour operators, tourism officers and media practitioners having a fun shoot at the Callao Cave. The cave’s tour guide, Gerry Bie Andoy, popularly known as “Andoy, ang Batang Tour Guide”, has also been featured in various national television networks. Andoy began as a volunteer tour guide at an early age. Now 22 years old, he passionately provides visitors relevant information about the cave and even suggests ways to take photographs to make the cave appear unique. In 2015, Andoy was among the recipients of the Tourism Star Philippines award of the Department of Tourism (DOT). Another exciting site in Cagayan is the San Jose Marine Reserve and Fish Sanctuary in Sitio Matara, San Jose, Gonzaga town, a three-hour ride from the city proper. The marine protected area covers 286.413 hectares, 214.134 hectares of which has been declared a marine reserve and 72.279 hectares, a marine sanctuary. The coastal community, scientists and technical experts have joined hands to ensure the area’s sustainability. Gonzaga’s white sand beach and crystal blue waters are perfect for snorkeling and boating. You could even climb various rock formations to enjoy the breeze and an exciting view of the waters. Tour operators and tourism officers took members of the media from various parts of the country to a five-day Familiarization Tour last Nov. 13-16 as the DOT 2 (Cagayan Valley) strengthens its promotion of the “gems of the north” to bring in more tourists. Virgilio Maguigad, DOT-2 director, stressed the need to expand the Northern Philippines’ tourism markets and introduce emerging destinations to people in the Visayas and Mindanao. “The biggest market for tourism in our country are still the local tourists.We would like to have a closer relation with the source markets because Visayas and Mindanao are urbanized and they have easy access to our region through the increased airline companies connecting us,” he said. According to Maguigad, the Cagayan Valley and Cordillera regions are ideal for adventurers and the culture conscious. “This is really a good opportunity for our tour operators to exchange clients and explore possibilities to expand tourism offerings in the whole country,” he said. With the new route offered by Philippine Airlines from CIark International Airport to Cauayan Airport in Cauayan City, Isabela, Maguidad said tourists now have a new option in going north. Tags: travel Philippines. Bookmark the permalink.